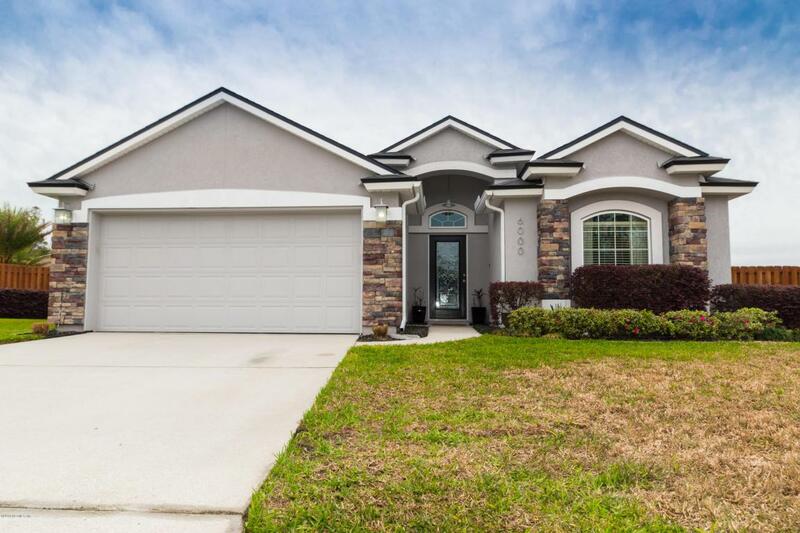 Move in ready gorgeous stucco with stone front 4 bedroom 2 bath home, no work to be done here. Pride of ownership shows throughout. Just move in and enjoy! Lots of modern upgrades make this home show like a model. You will not find a better maintained and upgraded home anywhere. Perfect lot at the end of the cul-de-sac and on the water. Enjoy the pond view from the lanai in your back yard. Winchester Ridge has great amenities and no CDD fees. In the sought after Baldwin school district. Hurry and take a look today! This beauty won't last long!